Check out the REAL publication in the Austin American Statesman today! 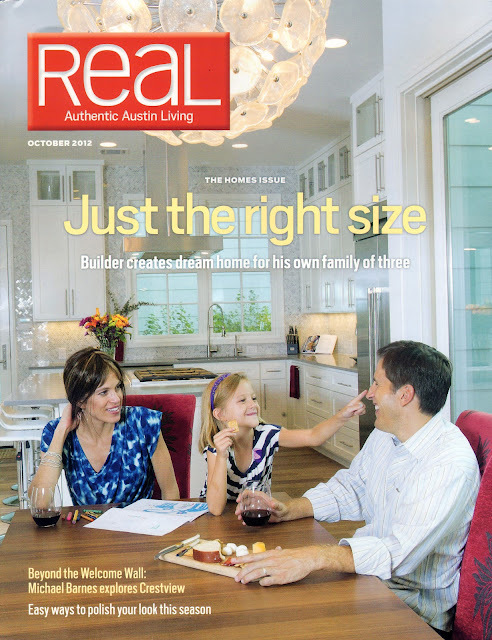 The cover features Matt Butterfield and his family in the AIA Homes Tour we designed for them. Great article! You can experience the home for yourself next weekend. 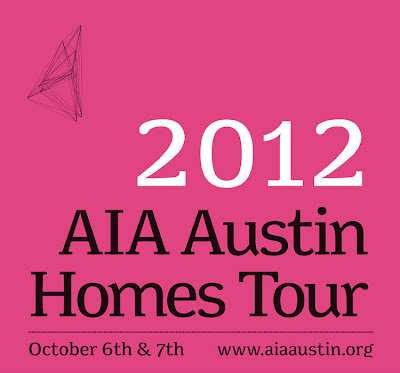 Purchase your AIA Homes Tour tickets here! 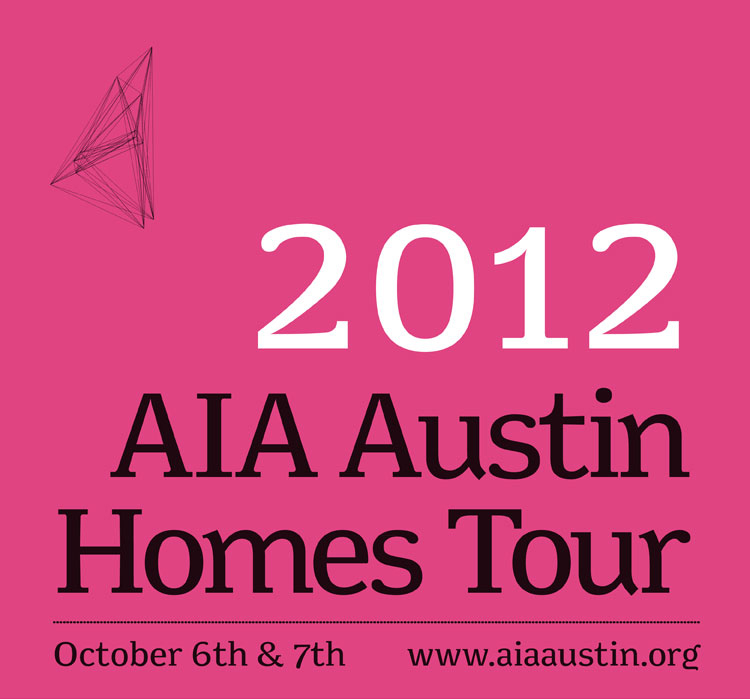 Get your AIA Austin Homes Tour Tickets! The weekend of October 6-7, 2012, AIA Austin is holding its 26th annual Homes Tour, which showcases 13 new and newly-renovated homes from across the Austin area. The two-day self-guided tour celebrates the diverse and stunning design talent of Austin’s local architects, with both traditional and contemporary designs that span from modest to means. Tickets to the AIA Austin Homes Tour are on sale and are $30 in advance, $35 the weekend of the event. The Homes Tour has sold out the past two years, and approximately 5,000 attendees are expected to attend the 2012 event. As such, attendees are encouraged to purchase their tickets in advance, either from the Austin location of TreeHouse, Zinger Hardware, and Realty Austin in Lake Travis, or directly from AIA Austin. Credit cards will only be accepted if you purchase your tickets online or directly from the AIA office. The tour affords tour goers a firsthand view of the intersection of form and function, and allows individuals to experience the sense of place that is exclusively gained through 3-D exploration. 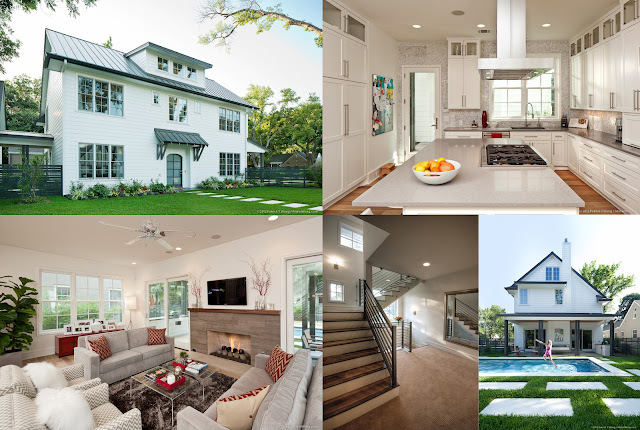 All of the thirteen uniquely Austin homes on the tour respond to specific lifestyles, and these homes represent the wide range of neighborhood character available in Austin. From an edgy 1950s renovation to a redesigned 1980s arts and crafts family home – from a contemporary glass house, to a beautiful 1940’s Italianate residence – each home on the tour adds to the life of the neighborhood as it enhances the lifestyle of the inhabitants. Of the thirteen homes on this year’s tour, eight are renovation projects – ranging from modest changes and minor additions, to comprehensive transformation and expansion projects. This emphasis on renovation speaks to the current economic climate, the growing population of Austin and the recent trend of sustainability. Instead of relocating and building anew, homeowners are staying and improving, and opting to repurpose and transform outdated designs to make what is old, new again. The 2012 AIA Homes Tour experience will be that of a big reveal, as AIA Austin unveils the architectural design talent of this year’s featured architects, and helps attendees uncover hidden gems within each neighborhood and home on the tour. Thanks to MotherTucker, LLC for creating our very own iPhone App! If you don’t have it yet, get it here! Cornerstone Architects is excited to be participating again this year! Come check out our featured Harris Residence project! Check out this video tour produced by Jill Leberknight of Keller Williams Realty! We designed this LEED certified home for the Parade of Homes at Mueller in 2009. This beautiful, urban craftsman cottage is a prime example of luxurious sustainable design. The home boasts a five-star plus rating in Austin Energy’s green building program, as well as being Gold NAHB rated and Platinum LEED certified by the U.S. Green Building Council. Set in a development leading the way for sustainable design as a community, it is no surprise that the home features a myriad of energy saving elements and was awarded Best Overall Green/Sustainable Home in the Parade. Some of these elements include fully foam encapsulated insulation, LED lighting, tankless water heaters, LoE2 glass, Energy Star-rated appliances, American Clay Earth Plaster, recycled bark and cork finishes, direct vent fireplace and highly energy efficient carrier unit HVAC systems. The home was also awarded Most Unique Green Feature for a natural gas refueling station in the garage. Almost any vehicle can be converted to run on this CNG (compressed natural gas). The home succeeds in combining the elements of architectural beauty and design with energy efficient resources and systems to create a truly unique habitat in the Mueller community.